Multi-billionaire and Microsoft co-founder Paul Allen has re-filed his patent suit against Apple, Google and several other major tech companies, adding specific examples of the alleged infringement. Allen caused a stir in August when he accused Apple, Google and 11 other companies of infringing on patents developed by his now-defunct company, Interval Research Corp. At issue are four patents related to online recommendations that were granted to Interval as long as 10 years ago. The Palo Alto, Calif., lab closed down "about a decade ago," according to The Wall Street Journal. The suit from Interval "sounds like the classic patent-troll case," Stanford Law School professor Mark Lemley, who specializes in intellectual property, told the Journal. Patent trolls are companies that aggressively pursue patent lawsuits against other companies without using their own patents in actual products. In October, Apple teamed up with its fellow defendants to oppose the lawsuit by filing a motion to dismiss the charges. Earlier this month, a judge granted the motion and dismissed the lawsuit for being too vague, calling the allegations "spartan." However, Allen was given until Dec. 28 to file an amended complaint. In advance of Tuesday's deadline, Allen has re-filed his complaint with examples of the alleged infringement, MacNN reports. 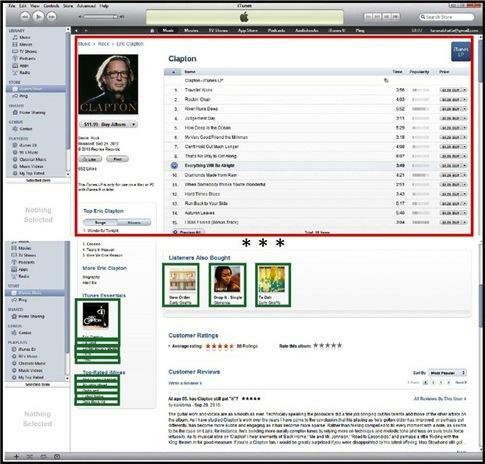 The updated filing accuses Apple of infringing on Interval's patents with its iTunes Store album purchasing view. Hundreds of millions of dollars could be at stake in this lawsuit, though many experts view the suit as a "last major gamble," according to the report. Patent lawsuit awards have reached new levels. Apple is currently appealing a $625.5 million ruling against it on patents relating to Cover Flow. The $625.5 million judgment was the second-biggest jury verdict in 2010, and the fourth biggest in U.S. history. Given the recent spate of lawsuits that are targeting Apple, the Cupertino, Calif., company has been forced to 'lawyer up' by expanding its legal department and hiring successful patent lawyers as outside counsel.